What is the WOSM - European Region? The European Region of the World Organization of the Scout Movement (an organization that brings together all recognized scout organizations from around the world) is one of the six regions that compose the movement (Interamerican, Arab, Africa, Eurasian, Asia-Pacific and European). This is to provide a more direct and focalized support to the national organizations of the organization. How many children and youth are in the European region of the scout movement? 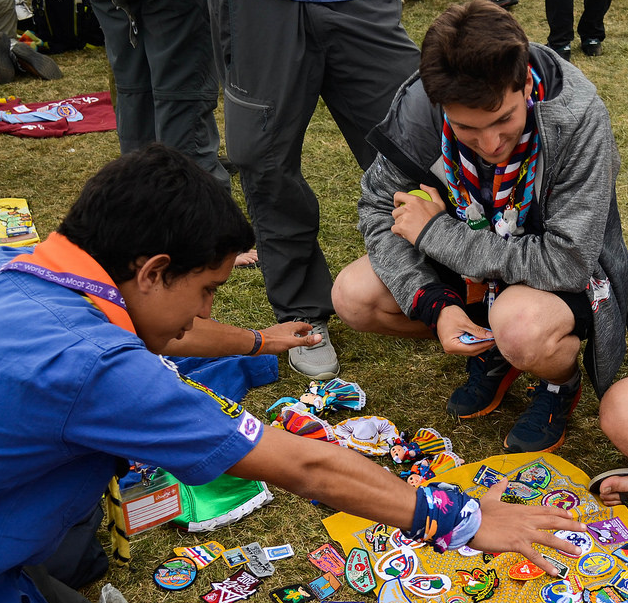 According to the figures on growth presented at the Baku world conference last August, the European Region has around one million seven hundred thousand scouts. Today, the region has 40 National Scout Organizations (NSO), which means 40 States; with 70 National Scout Associations (a national scout organization may be a federation that groups more than one Association, for instance, due to religious reasons). 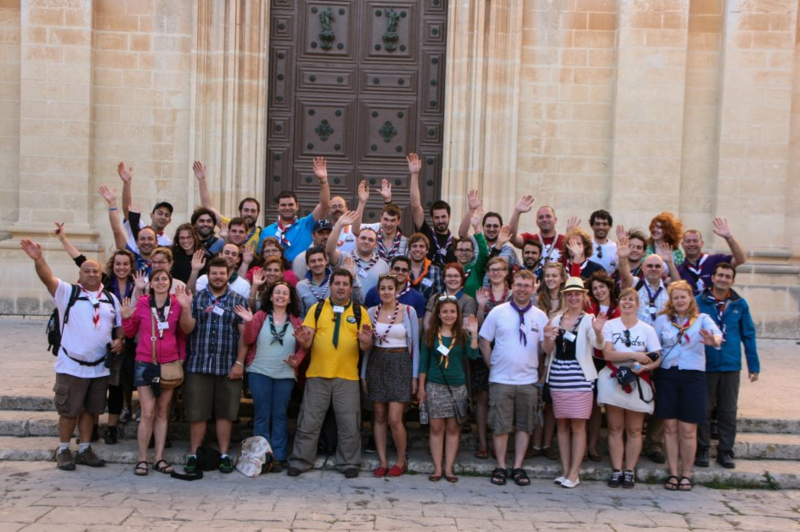 What is the mission and goals of the WOSM – European Region? 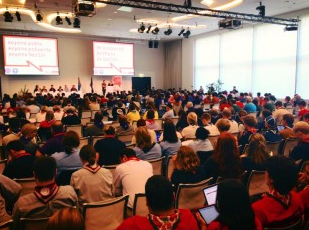 The mission of the European Region is no different to that of scouting in general. As a region, our goal is to support the associations so they can develop their task in the best possible way, and contribute to the education of children and youths through a system of values based on the Scout Law and Promise, and help build a better world, while becoming persons that are fully developed in all of their dimensions, citizens with an awareness and committed to their surrounding, active in their communities. What projects do you lead and what are the values that guide your work? As a region, every three years, the European Scout Conference (a sort of regional general assembly) adopts a regional plan outlining the master lines for the work in the region for the following three years. This plan reflects the main working areas, which are set based on the needs and areas of interest of the National Organizations, expressed through participatory spaces made available before the Conference, such as the Scout Symposium. To give just one example of a project we’re working on right now (together with external partners), I could mention the project ‘Time to be welcome’, a project to work with refugees and displaces persons due to conflict in the southern shore of the Mediterranean. Do you foster projects with the grassroots, creating a network of groups from different countries? Usually, the work that is done from the region is to support the associations, rather than concrete groups. However, when we discuss the implementation of certain projects, then this is done by youths or base leaders who interact with each other and do networking, which provides for opportunities to have transnational projects later on. At the same time, there are great occasions for youths to form alliances and network with youths from other countries; the international meetings that are organized regularly. 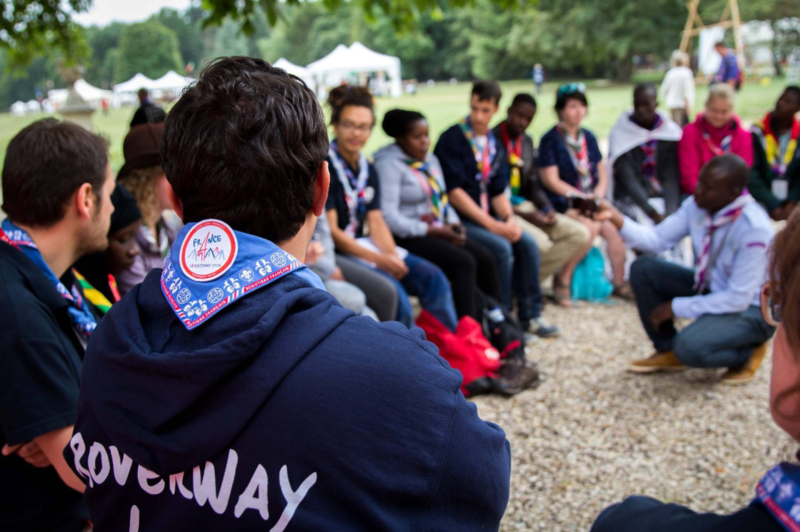 These meetings are often addressed to a certain age group and may be European (like the Roverway – for youths aged 16 to 22 –, the European Jamboree –ages 14 to 18– or Agora –for youths aged 16 to 24), or they may be world meetings, such as the World Jamboree or the Moot. How do you foster knowledge and fraternity among the youths? 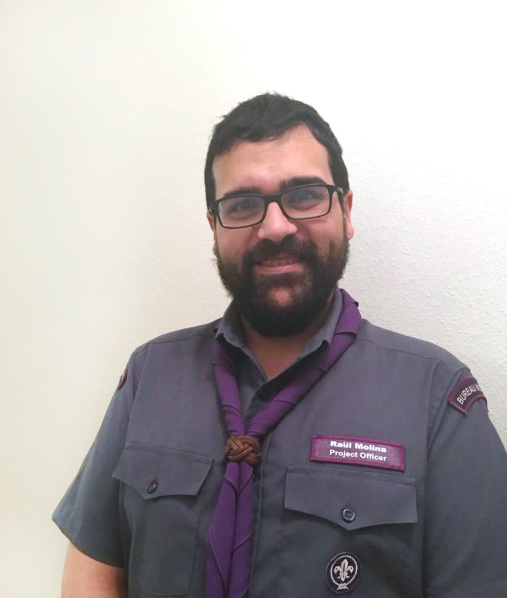 As I mentioned in the previous question, at these meetings, one of the main goals is precisely for scouts from different countries to get to know each other, and different cultures, different ways of being. Discovering others and embracing differences and also the shared goals is a very powerful way of working for peace, understanding and fraternity among peoples. What specificities would you specify of the European Scout Region compared to other regions? Thinking about the specificities of the European Region, there are two that I would highlight, both of which define the way we work. Empowering youths. Even if this is one of the global working areas, and there’s a lot to be done in this regard, youths are quite involved in international volunteering structures compared to other regions. In these three years, more than 80% of volunteers in the region are younger than 30, as well as three out of four coordinators for the working areas. The relationship with the World Association of Girl Guides and Girl Scouts (WAGGGS). 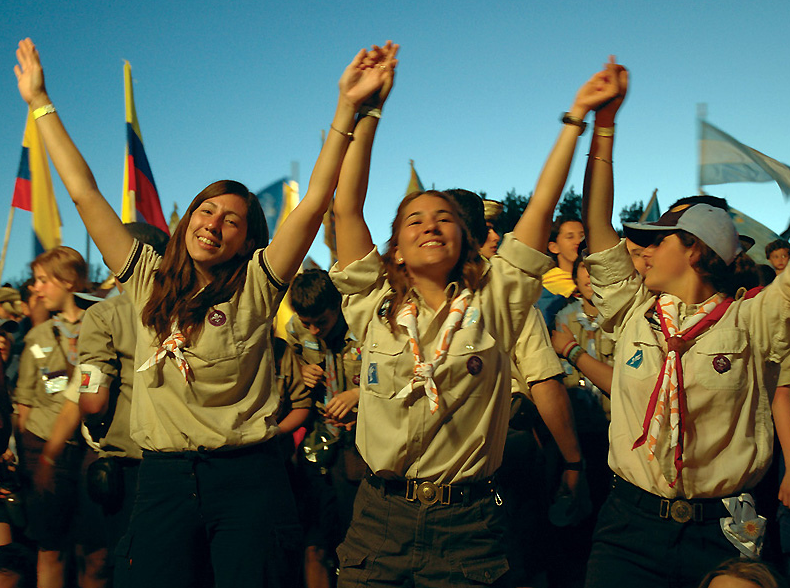 In the European Region, we work in close relation to the WAGGGS, with joint projects (the Roverway, for instance), joint trainings (such as the Academy) and also, every three years, we determine working items that are of interest for both organizations to join efforts and make work more effective with the resources we have. Working together, although it does happen in other regions around the world, is not as obvious and concrete as in the European Region. Do you have cooperation projects with other regions? Of course! Out of all the projects and meetings that are organized, there are ones that are specifically to encourage exchanges and partnerships with associations from other regions, like the Partnership Event, where all the European partners and those from other regions meet to further develop existing partnerships and also to create synergies that will make new cooperation projects possible. There are also meetings that focus more specifically on a concrete region, such as the Euro-Arab meeting, which is centred on joint work between the Arab and European regions.